Funders rely on their staff every day to make the decisions that create impact. Staff set goals, strategy, and represent your work to grantees and other stakeholders. As a result, building an effective and engaged staff culture is crucial. The Staff Perception Report (SPR) is a fast, cost-effective, and easy-to-implement employee survey designed specifically for philanthropic funders to gather actionable feedback from their staff. CEP offers a shorter, core version of the SPR, along with a more comprehensive option to provide the most flexibility for funders. 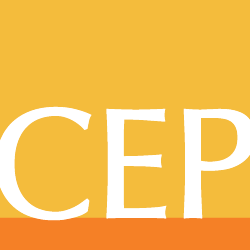 Through CEP’s dedicated focus on foundation effectiveness, we help you gather, understand, and act on staff input in ways that connect directly to your effectiveness as a funder. The experience of staff working in philanthropy is unique, and requires a survey that accounts for your context. The Staff Perception Report has been used by 50 funders of every type and size. The CEP staff survey process was tremendously useful to the Arcus Foundation. The results provided comprehensive data about our culture and helped us to put it into context, relative to our peers. The CEP team partnered with us at every stage of the process providing deep support and expertise, helping us to customize and implement the survey and then to understand the results and work together to determine concrete ways forward. We have done climate surveys on our own in the past, but with CEP’s help both the experience and results were infinitely richer. The Staff Perception Survey has had a huge impact on our Foundation, providing a safe context for our staff to talk about the foundation’s culture and to better understand how the culture impacts our overall effectiveness. Over the past year, we’ve made a number of specific improvements that are directly attributable to the survey process. More surprisingly, the process seems to have changed the way we think about ourselves as a staff, and has helped build the trust needed to work together even more effectively. We found the data interesting, in and of itself, and it was especially useful to see how we compared to foundations like us. The SPR led to some important conversations about defining the workplace we want to be, and we’ve changed our behavior to zero in on those goals. Knowing that our progress will be measured by the next round of the SPR keeps us motivated! The Commonwealth Fund talks about participating in their fifth SPR, and how they’ve worked to become a high-performing workplace through staff feedback. The Skillman Foundation describes the importance of workplace culture and regular feedback mechanisms. The New York State Health Foundation shares how they responded to their staff surveys and took the steps needed to improve. Learn how CEP continuously updates the SPR based on feedback from funders.